Today’s joint announcement by the Department of Justice for the Eastern District of New York and the Treasury Department’s Financial Crimes Enforcement Network of a combined $22.5 million settlement with CG Technology, LP (formerly Cantor Gaming) offered details not only about Cantor’s law-breaking business practices, but it also provided a coda of sorts to another sports-betting case that’s recently been in the news: The lengthy case and recent deal of celebrity-sports-tout-turned-extortionist-extraordinaire Adam Meyer. Meyer’s troubles, though not extensively covered here at Flushdraw, have been an entertaining and sordid read nonetheless. 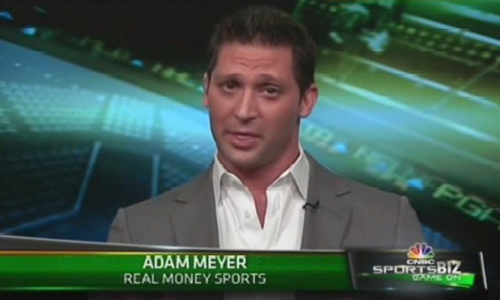 Meyer, a celebrity tout who appeared on numerous television shows and podcasts and in newspapers and magazines on both sides of the Atlantic, will go down in history as one of the most fraudulent of all such pay-for-info touts, who collectively represent the shaggiest segment of the sports-betting biz. Adam Meyer was special, though, even in paid toutdom, a field of low expectations. He was arrested in 2014 on charges that he extorted $45 million from 2009 through 2013 from perhaps his wealthiest client, Wisconsin beer distributor Gary Sadoff. The long-running extortion scheme reached its peak in 2012 when Meyer and an associate traveled from Florida to Wisconsin, and physically threatened — via loaded pistol placed against Sadoff’s neck — he and his family members. Meyer and his associate concocted a story in which Sadoff was supposedly cited as Meyer’s business partner, and both of them owed tens of millions to the Mob. Under such physical threat, Sadoff continued paying Meyer, and Meyer used that money, in part, to support his own lavish public lifestyle. As part of his plea deal, Meyer was also forced to admit that his unreal tout claims, boasting of successful picking rates in excess of 60%, were as fake as the rest of his operation. The ongoing pre-trial for Meyer, following his arrest and the collapse of his RealMoneySports.com tout-pire, offered plenty of bizarre moments. Much of Sadoff’s millions went to support Meyer’s own lavish gambling lifestyle, including a drug addiction which Meyer couldn’t shake even after being arrested and which was factor in Meyer’s bail being revoked. Add in the bizarre “Donnie Brasco” defense that Meyer hoped to employ, in that he was secretly an agent of the federal government and was one of its most important snitches, and the case just got weird. Meyer dumped multiple defense attorneys as the case slowly moved forward, and we never did get to hear how that “Brasco” defense would have justified the armed extortion of Sadoff. Just last month, Adam Meyer pled guilty to five of six felony counts, including the extortion. He’ll face a sentence of between five and 12 years in a federal pen when he’s sentenced in early December. One might have thought that would have been the last of the Meyer story, but no. The celeb tout’s rich-spending ways surfaced amid a “statement of facts” assembled by the DOJ of Eastern New York and FinCen as part of the Cantor deal. It turns out that much as Sadoff was Meyer’s largest victim-client, Meyer himself was the largest client of the illicit insider scheme that put Cantor Gaming into legal hot water. “A.M. 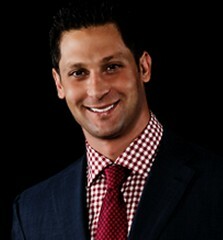 is a professional gambler and the owner of a sports wagering company based in Florida. In addition to providing his clients sports wagering advice, A.M. would refer them to an offshore bookmaking operation with which he claimed to be unaffiliated. In fact, A.M. controlled the operation through a third party individual posing as the operation’s agent. Bettors did not know that the offshore gambling sites were not actually booking the bets placed, but rather, A.M. was booking the bets himself. A.M. maintained a sports wagering account at Cantor Gaming, which he utilized to limit his personal risk on the bets he booked through his offshore operation. amounts that were usually in the hundreds of dollars but sometimes in the millions of dollars. Also from 2010 through 2013, A.M., along with others acting on his behalf, deposited and withdrew more than $200 million in U.S. currency using wagering accounts at Cantor Gaming. This money included funds from A.M.’s offshore bookmaking operation and from his illegal betting activity at Cantor Gaming. In December 2012, Cantor Gaming finally filed the first SAR on A.M., narrating suspicious activity conducted by one of his agents. However, it wasn’t until January 2013, after A.M. had already transacted several millions of dollars through his account, that Cantor Gaming filed a SAR questioning the source of funds for A.M.’s betting activity. Those SARs, or Suspicious Activity Reports, were consistently and deliberately ignored as part of Cantor’s operational business model, which focused on catering to high-volume, high-dollar bettors. “In April 2013, the Nevada Gaming Control Board requested account wagering applications for the top 100 accounts from Cantor Gaming. In response, Cantor Gaming submitted 168 account wagering applications for approximately 94 account holders. “Many of the submitted records lacked the required information. Eighty-eight of the wagering applications were completed improperly. Twenty-nine of the applications lacked a social security number, and another 29 did not include a telephone number. Eight of the applications lacked a date of birth of the applicant. The tentacles of all this spread wide. It’s not known whether Meyer was involved with the “Jersey Boys” / Pinnacle Sports.com operation, which was also connected directly to Cantor Gaming and soon-to-be-sentenced linesmaker Michael Colbert. Nonetheless, Cantor and Colbert were the focal point of a wide range of illicit sports-betting activities. That those included the sordid story of the celebrity tout, Meyer, is just another wonder of the greater tale.